If a person comes to America as an adult, he or she is referred to as a first generation immigrant. Children of immigrants are called second generation. 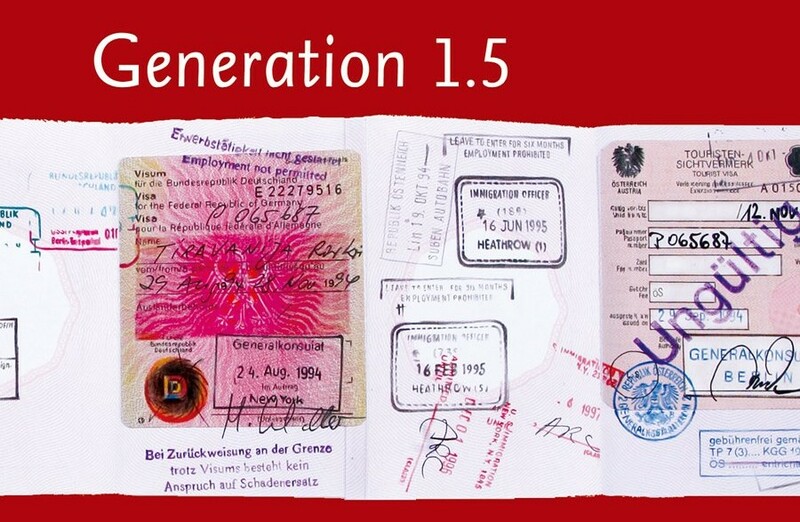 But, if they come when they are in their adolescence, they are called generation 1.5. The 1.5 generation is a group of people who are not children and not yet adults, literate but not yet fully intellectually formed. 1.5 members are old enough to be fluent in their home language and culture, but have less difficulty adjusting to change than their first-generation counterparts. Often characterized by cultural hybridity, 1.5ers navigate various cultural perspectives from the inside, while often feeling un-tethered to any one homeland. Artists of this generation take part in dexterous manipulations of artistic modes and materials as they engage with diverse personal, social, and intellectual contexts. Along with their freedom of movement, these artists enjoy an ability to walk the line between assimilation and dissent, and are uniquely capable of critiquing their native country as well as their adopted ones. 1.5, on view at the Queens Museum of Art from June 10th – December 2nd, 2007, is an exhibition that highlights the work of these artists. The exhibition examines whether artists of the 1.5 generation propose a particular orientation to their work as they are confronted by issues of immigration, cultural dislocation, memory, hybridity, acceptance, and exile in their everyday lives. 1.5 includes stirring and thought-provoking works produced by eight artists—Ellen Harvey, Pablo Helguera, Emily Jacir, Lee Mingwei, Shirin Neshat, Seher Shah, Rirkrit Tiravanija, and Nari Ward—including works never before exhibited in New York. Accompanying the exhibition, will be a full slate of programs and events. 1.5 is curated by Queens Museum of Art Executive Director Tom Finkelpearl and Chief Curator Valerie Smith. In lieu of a printed catalogue, Generation 1.5 will feature an online component that will grow throughout the time of the exhibition. The material there will serve as the foundation for a catalogue (to be published after the exhibition) with writers, sociologists, anthropologists, filmmakers, other visual artists interested in the issues that attend the 1.5 generation. 1.5 is made possible with funding generously provided by Crystal Windows and Door Systems, Ltd.; The Lily Auchincloss Foundation; the National Endowment for the Arts; the New York City Department of Cultural Affairs; the New York State Council on the Arts; and the Taiwan Cultural Center. Join us on Sunday June 10 for the opening of 1.5. Light Refreshments & Finale Concert by Trio Tarana, led by 1.5 Generation percussionist/composer Ravish Momin who spent his childhood in Mumbai & Bahrain and currently resides in New York City. With Trio Tarana, Indian, Middle Eastern and East-Asian rhythms become the foundation for a new creative musical experience that seamlessly blends written material with spontaneous group interaction.